CANBERRA (Reuters) - Fast bowler Mitchell Starc picked up his second five-wicket haul in the match to lead Australia to a comprehensive 366-run victory in the second test against Sri Lanka and a 2-0 series win at Manuka Oval on Monday. Chasing an improbable 516 for victory, the tourists were shot out for 149 by Australia, who won the opening test in Brisbane by an innings and 40 runs. The series win against Sri Lanka was the first for Australia since they thrashed England 4-0 in the Ashes early last year. 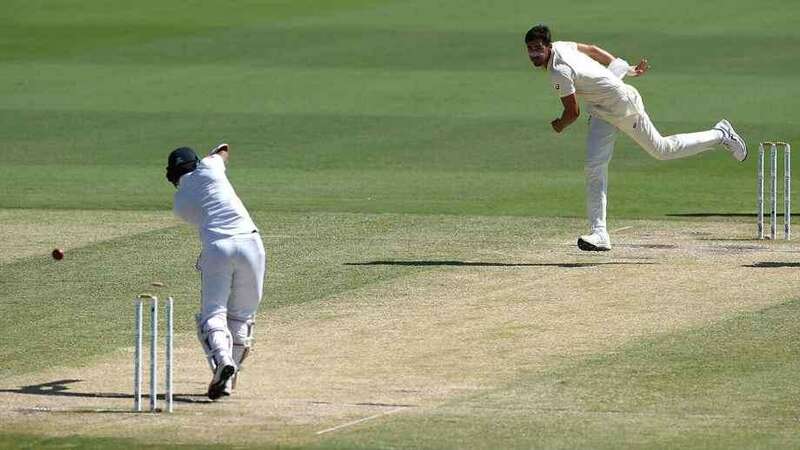 Left-arm quick Starc bowled with the same aggression and pace that earned him a five-wicket haul in the first innings to finish with 5-46 and only his second match haul of 10 wickets. Starc’s only other 10-wicket haul in a match was also against Sri Lanka when he took 11-94 in a 2016 test in Galle. Starc began the day adding the wickets of opener Dimuth Karunaratne and Sri Lanka captain Dinesh Chandimal to his tally. The paceman got a fast delivery to cut back into Karunaratne, who failed to add to his overnight score of eight, and breached his defence clipping the leg bail. 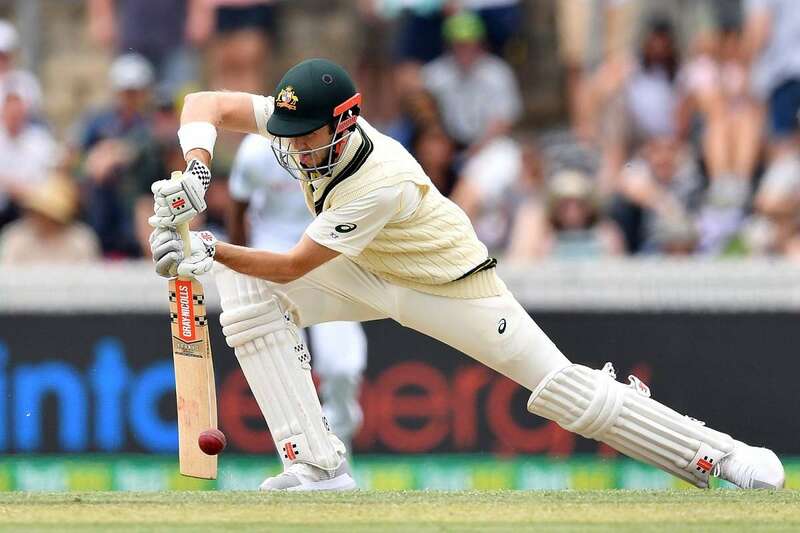 Chandimal was out for four when he guided Starc straight into the hands of Marnus Labuschagne at slip which ended a dismal tour for the right-hander, who aggregated 24 runs from four innings. Sri Lanka promoted Niroshan Dickwella, who had made an attacking 64 in Brisbane, and he and opener Lahiru Thirimanne added 30 for the third wicket. 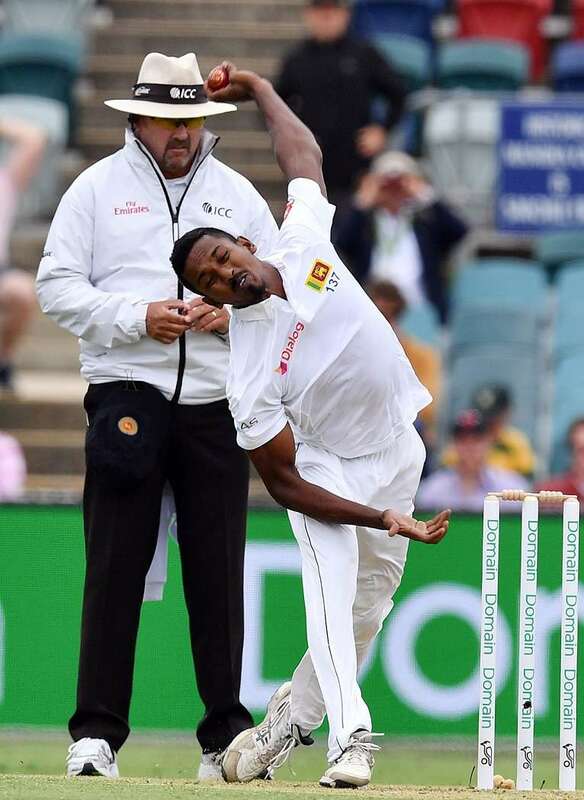 A sharply climbing delivery from Pat Cummins ended Thirimanne’s knock of 30 when the fast bowler sprinted forward to take a diving return catch inches off the ground. Starc returned for his second spell to dismiss Dickwella (27) and Kusal Perera, who was cleared to bat on Monday after being hit on the helmet by a bouncer on the third morning, in successive deliveries to take his match haul to nine. Dhananjaya de Silva kept out the hat-trick delivery but fell right after the lunch interval to Jhye Richardson, spooning a catch to the mid-on fielder. Kusal Mendis and Chamika Karunaratne stalled Australia’s victory march with a seventh-wicket stand of 46 before the former found the fielder at cover with an uppish drive against leg-spinner Labuschagne. Mendis fell for 42 while Chamika edged Cummins to be out for 22 as Australia inched closer to victory. Australia captain Tim Paine brought Starc back to give him a chance to complete his 10-wicket haul and the quick bowled out Vishwa Fernando to complete the mark. CANBERRA (Reuters) - Usman Khawaja found his scoring touch and fast bowler Mitchell Starc returned to his fiery best as Australia moved within sight of victory in the second test against Sri Lanka at the Manuka Oval on Sunday. After Australia, on course for a first series win since beating England early last year, set the tourists an improbable 516 for victory openers Dimuth Karunaratne and Lahiru Thirimanne survived some nervy moments to take Sri Lanka to 17 before bad light ended the third day’s play early. Starc picked up his 10th five-wicket haul - his first since his 5-34 against South Africa in Durban last March - as Australia bundled out Sri Lanka for 215 to take a first-innings lead of 319. 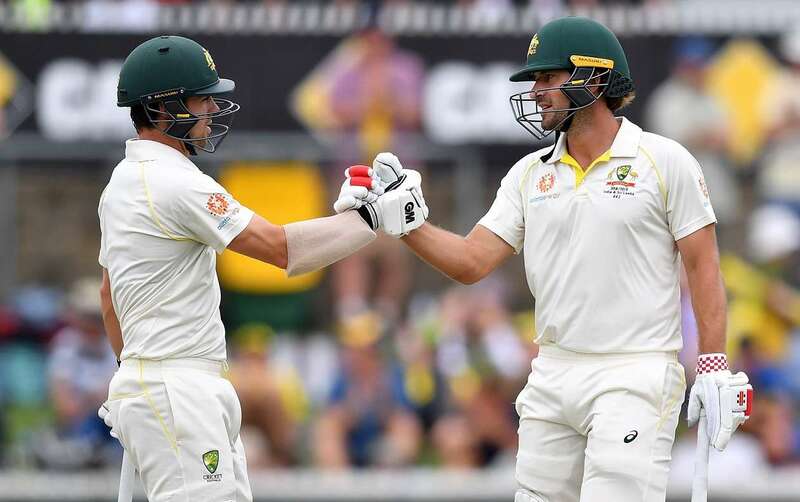 Australia, who won the opening test in Brisbane by an innings and 40 runs, did not get off to a great start in their second innings as they lost Marcus Harris, Joe Burns and Marnus Labuschagne cheaply. But Khawaja and first-innings centurion Travis Head combined for a stand of 159 as Australia declared their second innings closed on 196-3. Captain Tim Paine called the batsmen in after Khawaja completed his eighth test hundred. 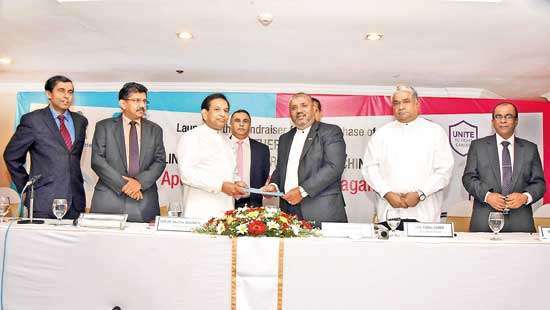 The left-hander enjoyed the moment, having scored only one fifty in the home summer. He remained unbeaten on 101 while Head made 59 not out. 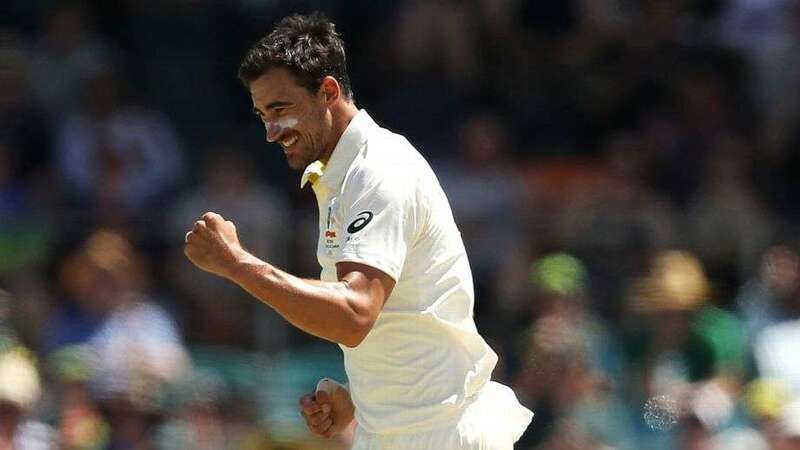 Earlier, Starc, who got the wicket of Sri Lanka captain Dinesh Chandimal on day two, bowled with pace and aggression to pick up the first two to fall on Sunday, then returned after lunch to polish off the tail and finish with figures of 5-54. Kusal Perera did not return to bat for the touring side after being hit on his helmet and leaving the field. 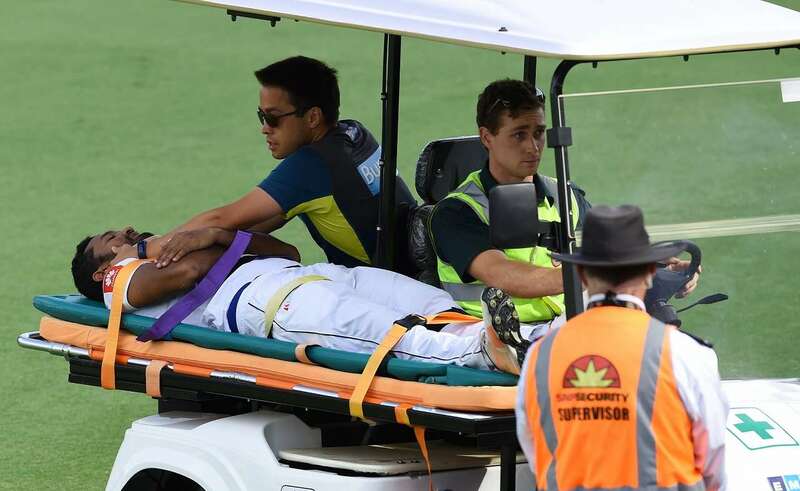 After opening batsman Karunaratne was forced to retire hurt on the second day after being hit by a Pat Cummins bouncer on the back of his neck, it was Perera’s turn to leave the field on the third morning. He retired hurt on 29 after a blow to his helmet by fast bowler Jhye Richardson while trying to duck under a short delivery. He took the impact flush on the side of his helmet with the neck protector flying off. The left-hander continued batting after twice being attended to by the team doctor but finally walked off an over later. Karunaratne returned to the crease after Perera’s departure and completed a gritty half-century before edging Starc to Kurtis Patterson at gully to be out for 59. Starc took 15 wickets in five tests during the India series and the opener against Sri Lanka but faced heavy criticism for some wayward bowling that prompted calls for Paine to take the new ball off his hands. The tall left-arm quick was back at his fiery best on Sunday, however, and tested the batsmen with short-pitched deliveries, one of which accounted for Dhananjaya de Silva. 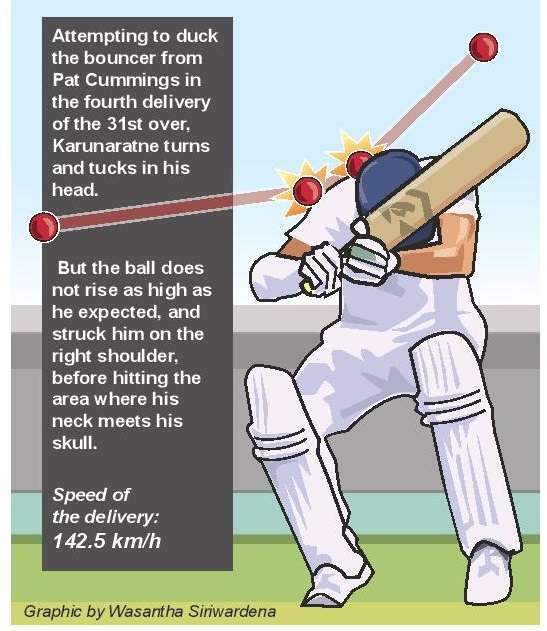 The batsman lost his balance while going for a pull shot and ended up dislodging a bail with his bat to be out for 25. Starc dismissed Dilruwan Perera and Vishwa Fernando in his first over after lunch to complete his first five-wicket haul. Opener Dimuth Karunaratne was stretchered off in a neck brace after being hit by a bouncer Saturday as Sri Lanka chased a massive Australian first innings total built on the back of three centuries. In overcast conditions, the home team resumed day two of the second Test in Canberra on 384 for four and extended their lead to a massive 534 for five when skipper Tim Paine declared. At stumps, Sri Lanka were 123 for three in reply with Kusal Perera on 11 and Dhananjaya de Silva not out one. On a flat Manuka Oval track conducive to batting Karunaratne and Lahiru Thirimanne saw off some lightning quick deliveries and a bouncer barrage and had built an 82-run stand before disaster struck. Playing in his 58th Test, Karunaratne was 46 not out when a rising Pat Cummins ball appeared to glance off his shoulder and onto his helmet, close to the neck area. Cricket Australia said he complained of pain in the neck and tingling to the hands and was taken to hospital to be assessed. Burns' departure brought the consistent Paine to the crease, who took his time to get off the mark but then hit some cracking boundaries to keep the pressure on the visitors, who lost the first Test in Brisbane by an innings and 40 runs. At the other end Patterson grabbed his chance with both hands, smashing 14 fours and a six in his breakthrough knock. Patterson was prefered for Brisbane and Canberra to young batting prospect Will Pucovski, who was released from the squad late Friday to deal with mental health issues that have plagued him in the past. Australia's Kurtis Patterson plays a shot during day two of the second Test cricket match between Australia and Sri Lanka at the Manuka Oval Cricket Ground in Canberra on February 2, 2019. Kurtis Patterson smashed his maiden Test hundred Saturday before Australia declared in a commanding position after heaping more misery on a wilting Sri Lankan attack in the second Test at Canberra. In overcast conditions, the home team resumed on 384 for four and extended their lead to a massive 534 for five when skipper Tim Paine decided to call the batsmen off. It gave his bowlers, led by an under-pressure Mitchell Starc, an hour before tea to try and make inroads into the Sri Lankan top order. 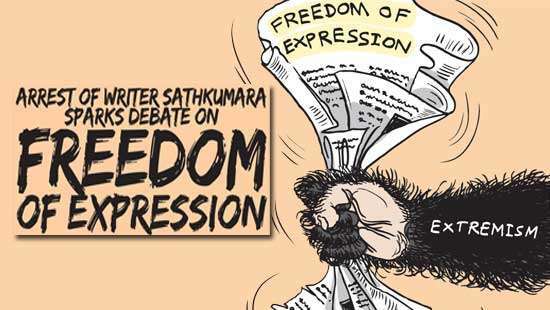 But on a flat Manuka Oval track conducive to batting Dimuth Karunaratne (not out 29) and Lahiru Thirimanne (not out 17) held firm with the tourists weathering some lightning quick deliveries to go to the break at 47 without loss. The impressive Patterson was not out 114 and Paine on 45 at the declaration with Vishwa Fernando the pick of the Sri Lankan bowlers with 3-126. The New South Welshman shored up his credentials ahead of an Ashes tour to England later this year by bringing up his hundred with a drive to mid-off for three after starting the day on 25. Following a century drought stretching back to October when Usman Khawaja scored 141 against Pakistan in Dubai, it turned into a flood in Canberra with three players bringing up the magical mark. The last Australian to reach 200 remains former skipper Steve Smith, who made 239 against England at the WACA Ground in December 2017 before being banned for ball-tampering. At the other end Patterson, who had been on the fringe of selection for a number of years, grabbed his chance with both hands, smashing 14 fours and a six in his breakthrough knock. Australia's Joe Burns (R) and Travis Head shake hands as they walk back to the pavilion during a tea break on day one of the second Test cricket match between Australia and Sri Lanka at Manuka Oval Cricket Ground in Canberra on February 1, 2019.